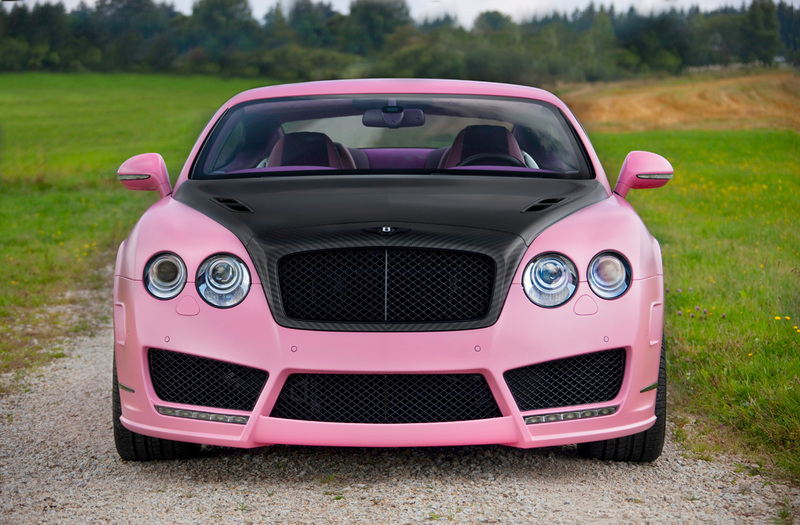 Finally, a Bentley for Barbie. 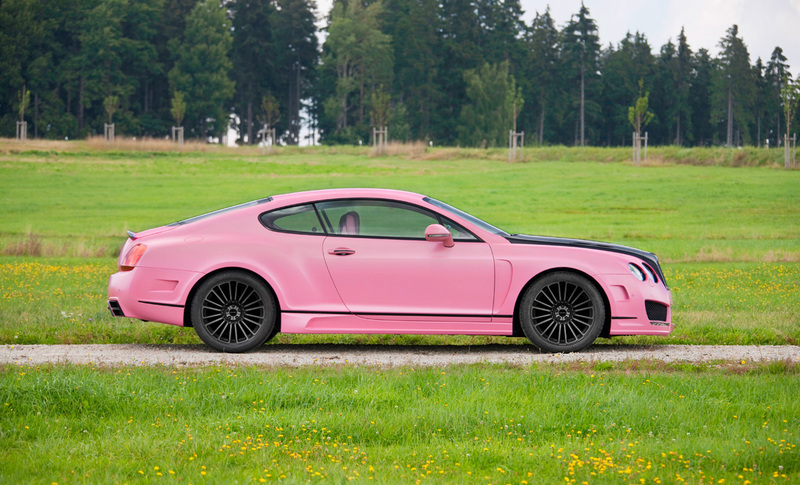 Based on the Bentley Continental GT Speed, the Mansory Vitesse Rosé is a powerful coupe guaranteed to turn heads. 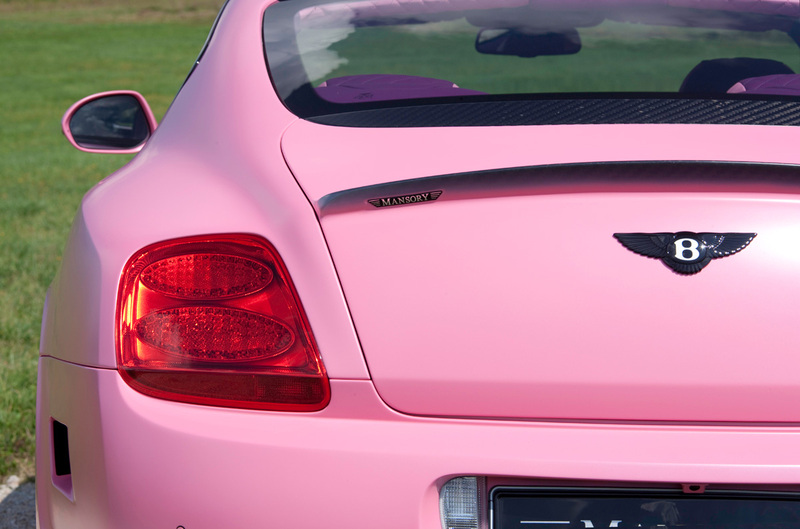 The name Vitesse Rosé perfectly represents the Mansory tuned Bentley, Vitesse meaning speed and quickness in French, and Rosé for the color that decorates the coupe. 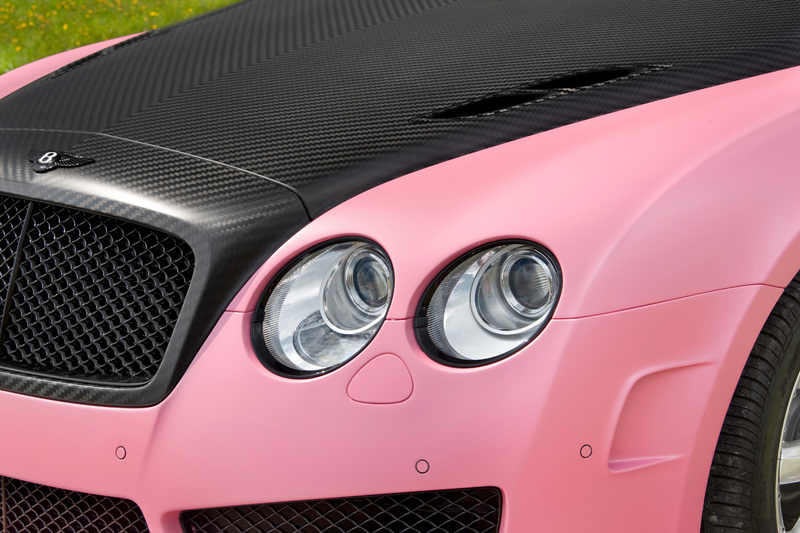 Other than the rosé paint that layers the Bentley’s exterior the most notable component is the carbon fiber hood. 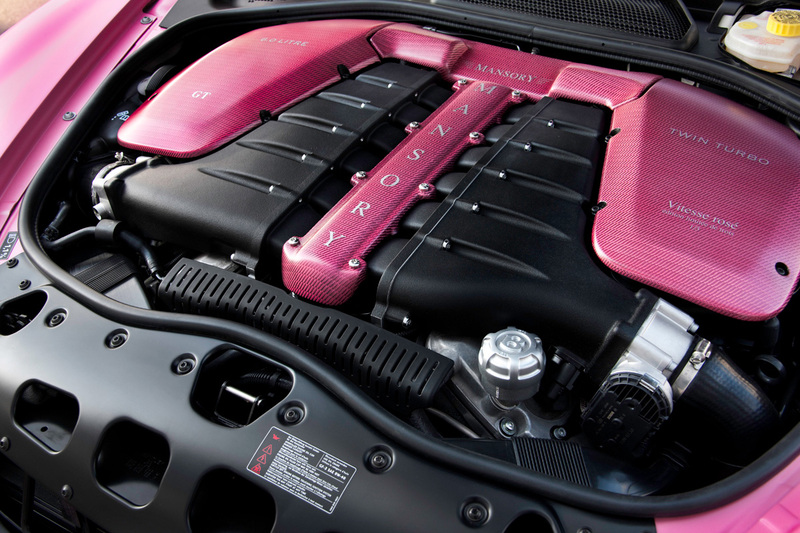 Underneath hides the sinister twin turbocharged V-12, dressed in a muscular rosé engine cover. 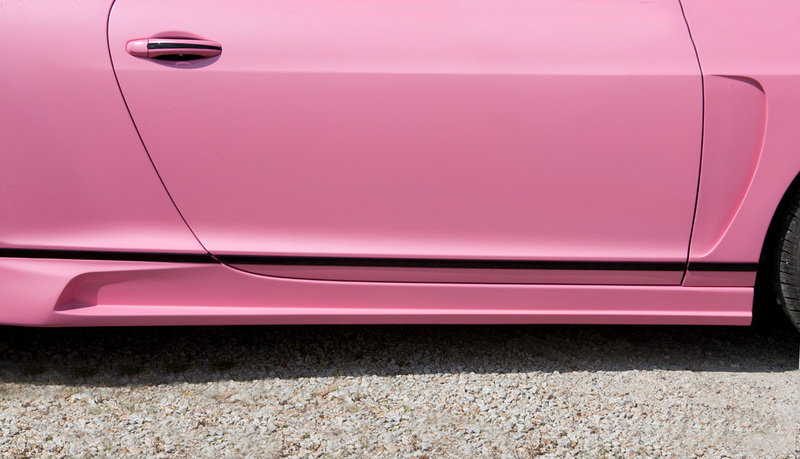 New aerodynamic side skirts, as well as front and rear aprons are made of PU-RIM, and merge into the original design. A small carbon rear spoiler sporting the Mansory logo creates downforce, resulting in increased handling. 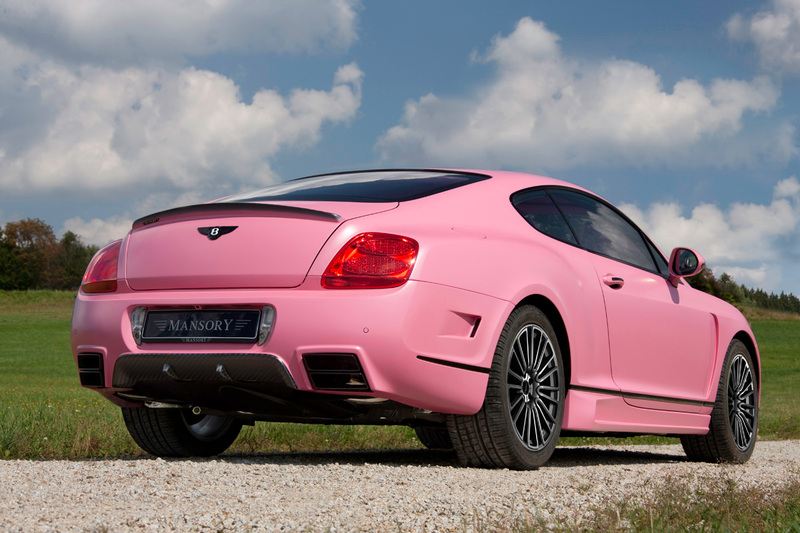 As jaw dropping as a Mansory Vitesse Rosé exterior is a paralyzing rosé and purple cabin, an environment that can only tickle pink the likes of Barbie and Paris Hilton. 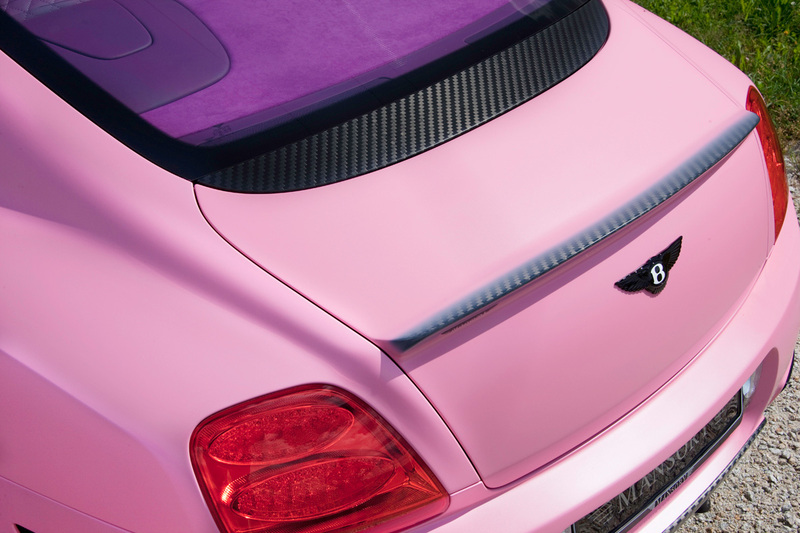 Fine rosé and purple leather is hand stitched, with Mansory woven into the seats. Purple carbon fiber garnishes the instrument panel along with the bottom of the seats. The centerpiece of the cabin is the newly redesigned purple and rosé sports steering wheel. 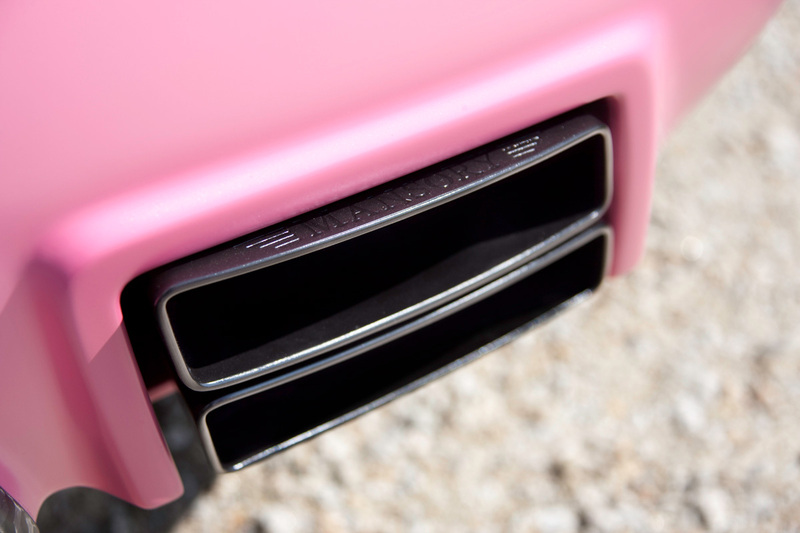 The Mansory Vitesse Rosé features a new stainless steel exhaust with rectangular chrome tips that is almost as loud as the car’s interior styling. Performance is further increased with a newly designed control unit for the air suspension, allowing for a lowered center of gravity. Light alloy black wheels measuring 21×10.5 inches are dressed in specially designed 285/30 ZR 21 Dunlop Sport Maxx GT tires, giving Barbie more grip as she races to the Gucci store for a new handbag. 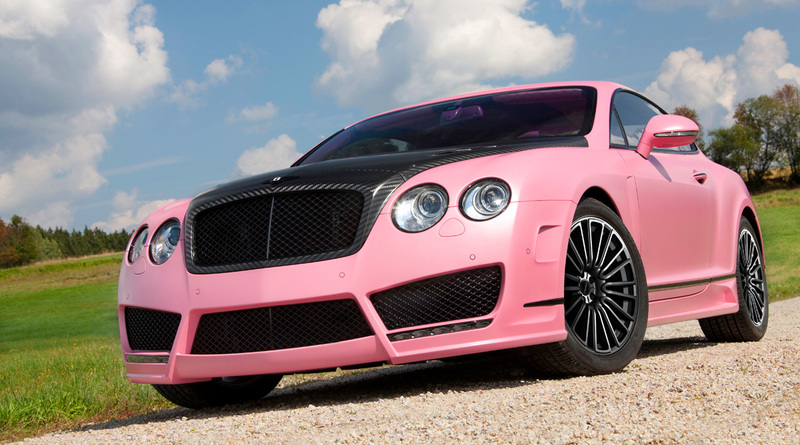 Pricing for the Mansory Vitesse Rosé has not been released, and will be limited to a production of three. Expect only two to remain for sale after word reaches Paris Hilton.